Upside to leaving the Bay Area, Indian Wells Brewery distributes its beer at Whole Foods in Fresno. 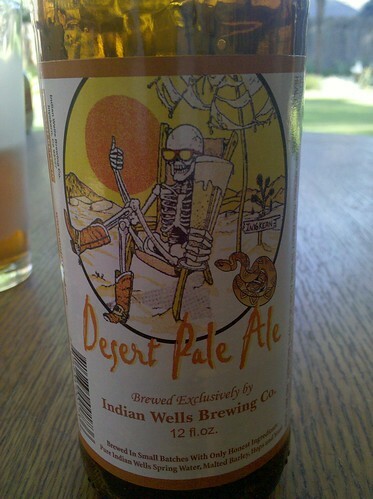 Not nearly as bitter as Sierra Nevada, the Desert Pale Ale is made with a real 'hoppy' style. It's California beer and I am a fan of the East Side of the Sierra's. Perfect on a summer day.